What kind of maps do we make? We make all sorts of maps ! In this section there is a selected portfolio of some of the maps we have created. 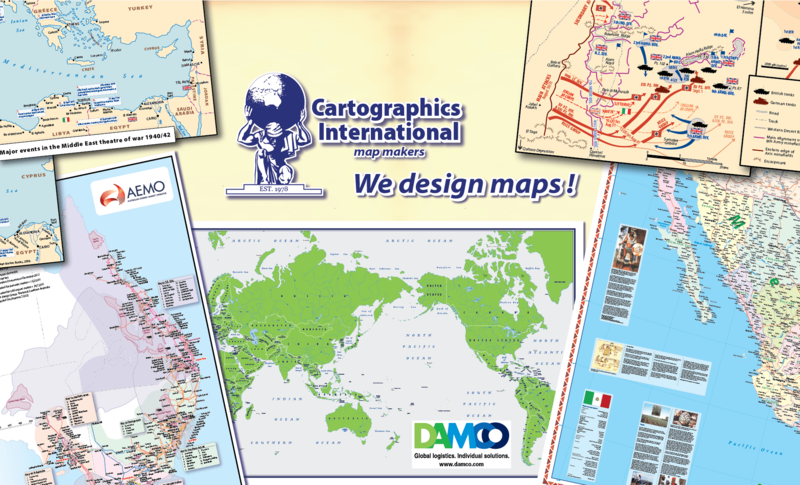 In this section there is a listing of clients and the types of maps we have created for them. This MapLog will record interesting map related posts from time to time. If you have any questions please don’t hesitate to contact us ! 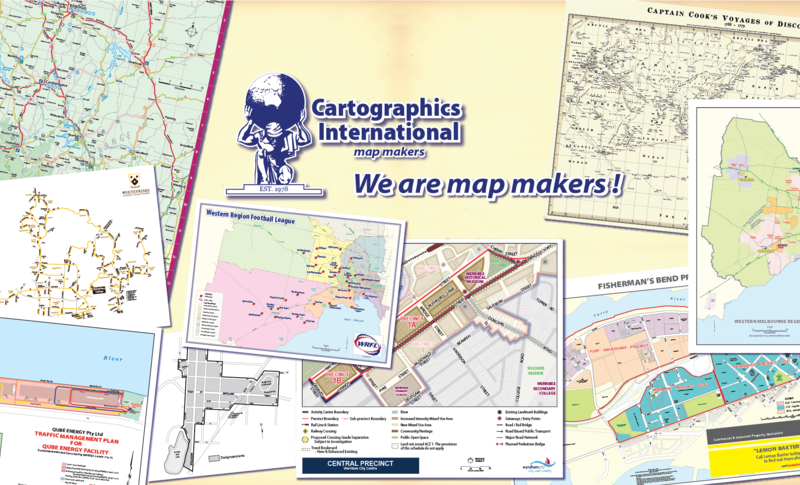 Cartographics International, map makers was founded in 1978 by Maris Lakis, a graduate cartographer from RMIT (Royal Melbourne Institute of Technology). 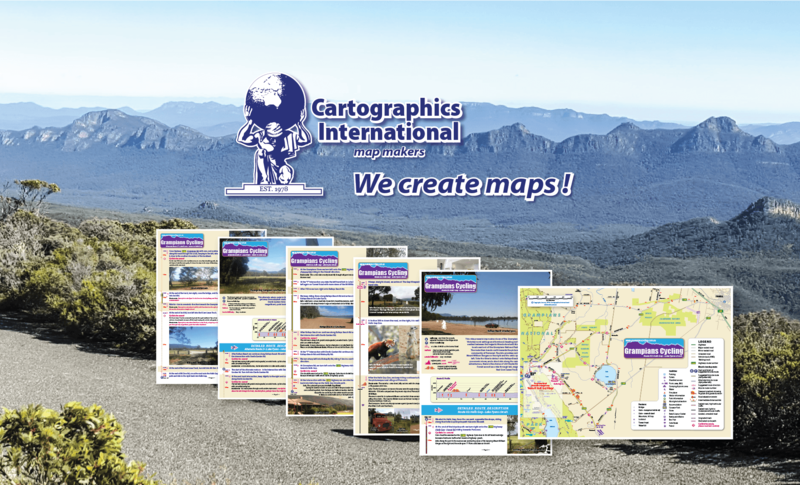 Since inception Cartographics International has provided a map making consultancy that covers all aspects of the cartographic process. 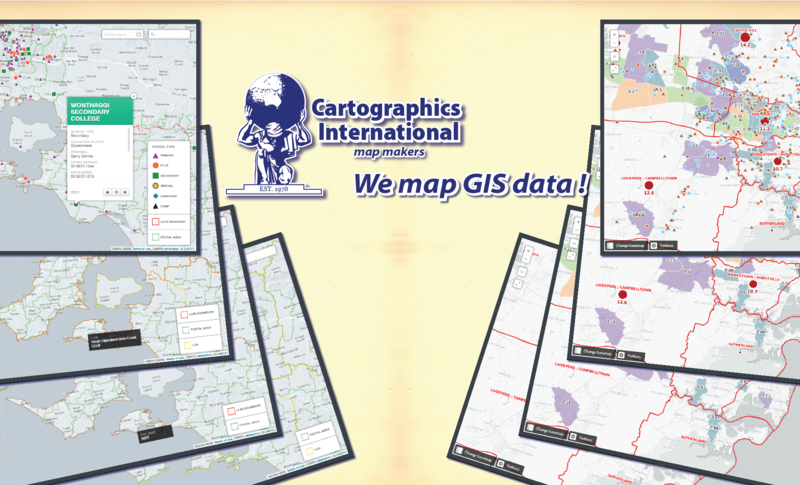 Cartographics International provides an expert and personalized service, to meet the printed, digital or GIS map needs of businesses, all levels of government as well as individuals. 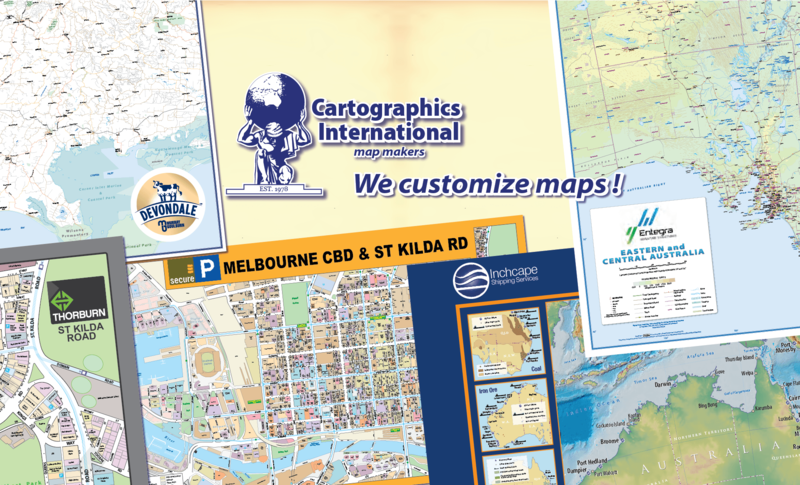 In the years since inception, Cartographics International has produced a vast array of maps, that vary in purpose, size and appearance. The portfolio and client list reflects years of experience in distilling client map requirements, map design and custom map production. We make all sorts of maps and we are more than happy to have an obligation free discussion of your needs. As mapmakers we create, design and customize maps.